One thing my two young children always ask is – When can we have chips for tea mummy? I have to be honest I don’t buy them anywhere near as much as they’d like, partly due to limited freezer space but also as they have chips at every opportunity when we are out and about. But I do like to treat them once in a while and when I do I always turn to McCain for a tasty, reliable home cooked chip. So when we sent a pack of McCain Home Chips to try, I knew my two would be thrilled. The chips are so easy to cook, just put them on a baking tray in the oven and turn half way. I love the size of these chips, not too thick but with plently of golden crispness on the outside (I’m not one for soggy chipshop chips!!). Once cooked they were light and fluffy inside with a crunchy outsite – an absolute pleasure to eat. Although the ultimate taste testers would be my children who gave them a huge thumbs up!! We’d definitely recommend McCain Home chips, all of the family enjoyed them and I feel they give one of the best taste combinations of fluffy insides and crunchy outsides! 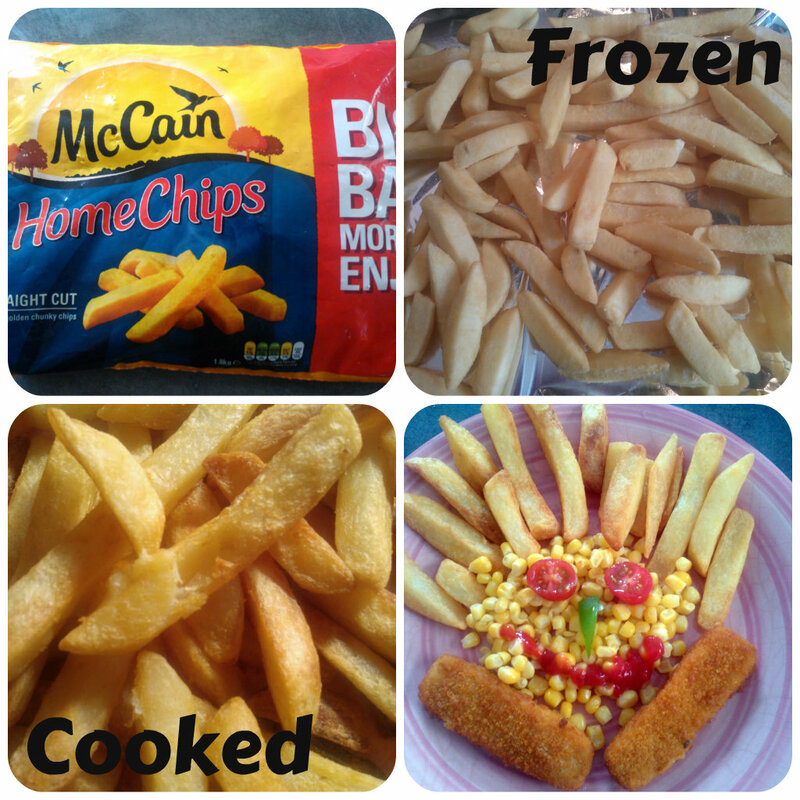 This entry was posted in Reviews and tagged chips, fluffy chips, home chips, kids meal idea, McCain by Fiona Martin. Bookmark the permalink.